I recently viewed a video of James White where he was discussing Molinism vs. Reformed theology on The Dividing Line when, after he had made his point, he shifted gears and began discussing a video by Michael Rood. This brought back some memories as I remember watching a few of Rood’s videos some years back. White probably had little experience with Rood’s teachings as he has not really discussed the “Hebrew Roots” movement in the past. Although I would not consider myself an expert on Rood, I do have a little more familiarity with him. I first encountered Michael Rood on the internet years ago dressed up in much like someone starring in a Cecile B. DeMille Biblical movie extravaganza. At that point, Rood was playing the part of a modern day Hebrew prophet, preached that the historic church was apostate and pagan, and that the end of the world was imminent based upon the Jewish Feast days which would be fulfilled with Christ’s second coming. Much like Harold Camping, Rood constantly tinkered with his calender and recalculated the date of judgment. This is not to say he was at all dishonest – I am sure he believed every word he of it. The problem was that, like Camping, he was often entering areas that need some training and perspective that he did not possess. If your theory is based upon presuppositions that are not correct, no amount of tinkering will set things right. For example, many “Hebrew Roots” proponents will discuss Church history and textual criticism without possessing any real understanding of the subjects. This is certainly the case for Rood as one can see in the videos of his floating around You Tube. The latest theory from Rood is apparently contained in a recent Gospel harmony (along with Acts) that he published that concludes Jesus’ earthly ministry lasted seventy weeks and there is a relationship to the seventy weeks of Daniel. I am not sure if this has been suggested before but it certainly is not a common idea and the lack of support should place the burden of proof upon the proponent of the theory. Personally, I would consider the exact length of Jesus’ ministry to be of minor importance in comparison to its content and purpose but, when dealing with those who think they have discovered something no one else had ever noticed in two thousand years, even the most innocuous items can be assumed to have momentous symbolic significance. One immediate problem is that John 6:4 immediately infers the ministry of Jesus is longer than two years. To his credit, Rood does admit the problem and so attempts a workaround: John 6:4 is a later interpolation. Granted, there is absolutely no evidence this occurred and the fact that it sounds a lot like the sort of argument offered by Jesus mythicists leaves one little confidence from the start. However, let us take a look at what Rood states in his video and my reaction to it. You may also want to see White’s reaction which begins at 1:10:23 into his video as I will refer to it below on a specific issue. I am not of the opinion that John 6:4 (“Now the Passover, the feast of the Jews, was near”) is absolutely necessary to the continuity of the passage and, if it there is evidence for its exclusion, so be it. We have found other things that were added to the Gospels in copying whether accidentally or purposefully and we want to know what was in the original – not what some monk in a monastery centuries later thought should have been written. Rood gives both external (relating to manuscripts) and internal (relating to context) evidence for its exclusion. At this point, I am only going to deal with the external evidence he provides and demonstrate that his claims are erroneous. This does not necessarily prove him wrong but it does leave his case greatly weakened. If he wishes to provide further external evidence in the future, I am more than willing to reconsider. As I stated above, I do not think the verse is a hill I would die upon, but I would not remove it from the text without firm evidence it is a later addition. Thus, for now, I am merely going to address Rood’s specific points and allow the reader to decide if his argument is sound or my reply demonstrates he has not made his case. In the first twenty seconds, Rood’s partner Scott Laird states that when you learn something new like this (referring to Jesus’ ministry being seventy weeks), some people will be angry because it goes against what they thought they knew. Of course, the real problem is not that they learned something new about the Bible – I learn something new about the Bible on many occasions – but that Rood and his followers are willing to allow their theories to trump the Bible and toss out the inconvenient parts. This is little different than what liberal Christians have been doing for over a century and, while Rood’s conclusions may not be as obvious a diversion, he is willing to purposely play editor with God’s Word on the most flimsy evidence when it contradicts his pet ideas. At this point, Laird asks Rood about the reactions people have given him to his putting so much resting on a single manuscript. I must be honest here and state that I have not paid any attention to controversies within the Hebrew Roots movement – mainly because I have paid little attention to the Hebrew Roots movement in recent years. However, I am on firmer ground on textual critical issues and, since Rood’s claims about John 6:4 are more in that area than specifics of his particular movement, I think I can comment with some degree of certainty. Rood begins his answer by stating pastors who have gone through all the training and been in the pulpit for decades get angry at his material because they have been lied to all their lives. Even if he is right, of course, this assumes an intent to deceive that he has little chance of proving. Such playing of the “conspiracy card” at the outset is already a bad sign as it is an obvious attempt to poison the well against his opponents before he has given a shred of evidence. Rood then begins to read from his introduction of his “Chronological Gospel” and states the thesis has not been broken by anyone. What he fails to point out is that he has the burden of proof and must show John 64 does not belong in the text. He states that most of the Christian world had grown up believing Jesus’ ministry was three and a half years but goes on to claim it is part of an age old religious system (presumably pagan) and that is was first proposed by Eusebius ministry more than three hundred years after the resurrection. Thus, right from the start of his “proof,” he got things terribly wrong. The first to state the ministry of Jesus was much longer than a year was not Eusebius but Ireaneus whose comments are also the first extant writing to address the issue. In fact, he only brought it up in response to pagan-influenced Gnostics who claimed the ministry was one year in an attempt to have it correspond to the pagan zodiac. Thus the one year ministry was first suggested by those attempting to paganize Christianity and Irenaeus’ response was written in the second century. The latter is important given that Irenaeus wrote this about 175 AD and pointed to John 6:4 as evidence. Thus, the passage certainly existed in Irenaeus’ copy of John and any interpolation would have occurred by then. Rood follows this up by stating that until Euseibus there was not one dissenting opinion on the length of Jesus’ ministry being one year – a claim that is clearly false by what I just stated above. Actually, very few Church Fathers addressed the issue – a few did state one year and a few stated more than three. Those who used one year based it upon Jesus stating it was the “favorable year of the Lord” (Luke 4:19). Those following Irenaeus, such as Eusebius, pointed to the multiple Passovers in John. There was no one who ever hinted that John 6:4 was added to the text. Natuarally, Rood then descends to the usual nonsense concerning Constantine one finds with conspiracy theorists as Eusebius was a champion of Constantine. First of all, Constantine never proclaimed himself “almighty God upon the earth and vicar of Christ.” He was given the title “Pontifex Maximus” but so was every Roman emperor in the previous century – it was a largely ceremonial title that gave the emperor the decision over which religions were “licit.” Constantine’s relationship to Christianity was strictly in Roman terms, at least at first, and he had little to do with the arguments that went on at Nicaea except that he wanted it settled (see my post on the Real Constantine). Even the Church knew Eusebius was a bit of a toady for Constantine (note that he was one of the few Church Fathers of the era who was never given the title “Saint”). However, the stories one finds among conspiracy theorists about Eusebius playing fast and loose with the Biblical texts are pure nonsense. Moreover, there is no particular reason to believe that Eusebius, Constantine, or anyone else at the time thought the year vs. three year issue that big a deal. It is only a big deal to Rood because it messes up his theory. He thinks everyone before Eusebius believed what he believes but is dead wrong. He thinks John 6:4 did not show up until the fourth century but he is wrong there as well. Not only do we have the testimony of Irenaeus in Lyons that the passage existed but P66 and P75, the two most important manuscripts we have of John’s Gospel (both date from about the 200 AD), contain the verse. Thus, right away, Rood is on incredibly shaky ground. Now, I am perfectly willing to grant that Michael Rood may not have been aware of these facts. However, if he is going to encourage followers of Jesus to throw out verses from their Bibles based on his teachings, he should do whatever is necessary to ensure he is correct. This might even entail consulting those whose expertise is Church history and textual criticism to see if his claims hold water. In this case, they obviously do not. The particular manuscript to which Rood refers to in his video is minuscule 472 (Rood never names it directly in the video). Here there was some confusion as the original Nestle/Aland 27th edition had that manuscript listed as the exemplar for the reading that lacks John 6:4 but it was later changed to minuscule 1634 in an updated printing. Thus, there was a little confusion on the White program as to why his references had the manuscript located at Mount Athos while Rood stated in was in Britain. Scrivener was indeed a giant of early textual criticism, but he is well over a century out of date. He lived before the major papyri discoveries of the last century and hence his final judgments must be taken critically in light of subsequent discoveries. 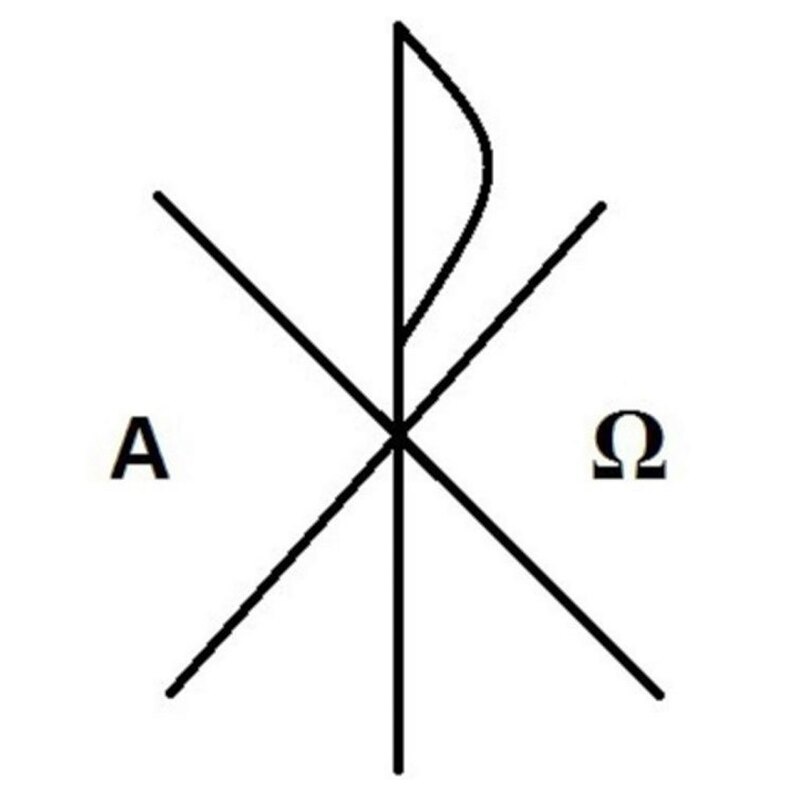 Scrivener never stated this minuscule had greater importance than the great uncials known during his lifetime that included John 6:4. He restricted its importance to those manuscripts contained in that single museum. Scrivener never stated the manuscript’s importance was related to its exclusion of John 6:4 – at least in the work of his I consulted. He also never made any statement that implied John 6:4 did not belong in the text. I found nothing stating Scrivener believed minuscule 472 was related to some earlier family of texts that predated the known texts of his day that included the verse. Beyond the problems above, we also have the fact that one cannot assume a manuscript was copied from some family of earlier manuscripts without having an exemplar of that early family. This is important because Rood keeps arguing the very late manuscript he has is a copy of an earlier family. However, there is no evidence that supposed earlier family existed and there is nothing I have found from Scrivener or anyone else who states it did. It just seems to be something Rood is stating must be true because his theory dies otherwise. Circular reasoning works because circular reasoning works because … well …. because! Rood then makes the astonishing statement that we have no manuscripts from the first four centuries. This in itself demonstrates that Rood has no real understanding of the topic as not only is it false today but it was false over a century ago when Scrivener was alive! Even if we restrict ourselves to only those manuscripts that contain John 6:4, I can name four in the first four centuries off the top of my head (P66 and P75 from the third century and Sinaiticus and Vaticanus from the fourth century). Since he had spoken earlier (and later) of the first three hundred years, we can assume this was a slip and perhaps he meant copies of John 6:4 in the first three centuries. However, this would still leave him P66 and P75 to deal with and he does not even know of their existence. This is especially damaging as it demonstrates that he has very little background in the relevant material necessary to substantiate his claims. Rood goes on to state that if there had been a John 6:4 in the manuscripts in the first three hundred years, then none of the historians for over three hundred years would have been so stupid as to not understand it would take longer to fulfill the understanding set forth in the text of John. This, of course, assumes a number of things that are false. The first is that all those historians denied the three year ministry which, as mentioned above, is just false. It also assumes that all the Christian writers at the time had a thorough knowledge of every aspect of the Gospels. Here Rood fails to note that they were under periodic persecutions and had none of the tools we have today such as concordances, etc. In fact, they did not even have chapter and verse numbers so a thorough knowledge of the texts was very difficult as they had no reference points to check the writings of other authors about the texts. Rood later presents some internal evidence (not the subject here) and then proves he knows little about textual criticism by stating the story of the adulteress in John 8 was in John 7 in most of the early manuscripts. His source of information on this is not given. In the real world, the early manuscripts do not contain this story and it, unlike John 6:4, is considered a later addition by most contemporary textual critics. Papyri P2, P5, P6, P22, P28, P36, P39, P44, P45, P52, P55, P59, P60, P63, P66, P75, P76, P80, P84, P90, P93, P95, P106, P107, P108, P109. Uncials א, A, B, C, D, L, T, W, Θ, Ψ, 050, 060, 068, 070, 078, 083, 086, 087, 091, 0101, 0105, 0109, 0127, 0145, 0162, 0210, 0216, 0217, 0218, 0234, 0238, 0256, 0260, 0299, 0301. Minuscule families f1 and f13. Uncials K, N, P, Q, Γ, Δ.
Minuscules 564, 579, 700, 892, 1241, 1424, 2542. You will note that minuscule 472 is nowhere to be found. If it were belived to go back to the early days of the Church, it would be considered a first order witness. As it stands, it is only a very late Byzantine minuscule with an anomoly that is considered to be of little importance. The only reason Michael Rood is making this claim is that he needs this manuscript to be important or his claim of an interpolation lacks any external evidence. At this point, those who support Rood should call on him to be truthful with his claims. He should either come up with real evidence that the manuscript relies on early witnesses (he certainly has supplied no evidence of this point to date) or withdrawal the claim. Although he may have been ignorant of the existence of the verse in P66 and P75 as well as the comments by Irenaeus, he should now acknowledge his error and tell his followers to disregard his comments in these areas. Finally, he should stop pretending he is knowledgeable about the manuscript evidence when this clearly is not the case. Frankly, someone who makes this many fundamental errors in an area where the information is easily available cannot possibly be considered to have expertise on the subject. Given the external evidence depends on his claim of great importance for minuscule 472 – a claim that I have found with no one other than Rood himself – I see no reason to take his theory seriously unless he can find actual evidence rather than conspiracy theories and misrepresentations of the manuscript and historical evidence. I have borrowed a copy of The Chronological Gospels from a friend. I read and mostly understood what you wrote above, about Mr. Rood. I am however disappointed that you didn’t mention your explanation for Mr. Rood’s words regarding the various Feasts or his words regarding the possible “violation of Torah” with regards to unleavened bread during the time of Passover. Mr. Rood does bring up other points as well that you did not choose to try and debate. Myself and I’m sure many other seekers of The Truth, would appreciate a more in depth, responsible & mature debate. John 6:4 was added in the fourth century by Eusebius. A particular manuscript [miniscule 472] reflected an early state of the text and the Nestle/Aland 27th Edition of the Greek New Testament attests to this. We have multiple manuscripts (P66 and P75) from about 200 AD that contain John 6:4. Irenaeus claimed Jesus’ ministry was multiple years and cited John 6:4 as evidence of it around 180 AD. The Nestle/Aland 27th Edition of the GNT gives no significance whatsoever to miniscule 472 and considers John 6:4 to be original to the text. Given that John 6:4 appears centuries earlier than Rood claims and appears in all the earliest manuscripts, Mr. Rood’s assertions are wrong relating to the external evidence. Also note that I specifically stated that John 6:4 was not a hill I would die upon. However, with the external evidence so overwhelming against Mr. Rood’s position and his external “evidence” having been complete fabrications, I find little reason to consider his arguments in areas where I am less familiar when those in areas I am very familiar (manuscript evidence) have proven to be either dishonest or incompetent. This makes you the dishonest one here. Why is it that Hebrew Roots haters will go to any lengths to discredit a teacher who puts forward the truth of God’s word? I may not agree with every word Rood teaches but I don’t agree with every word any preacher I’ve ever heard teaches. But Rood is correct on his 70 week ministry teaching. Jesus must return in a sabbath year, the final year of the 70th Week. That should keep you busy for awhile. You must be one of his new followers. He goes through them in cycles as each new generation of Roodites discovers he is a serial false prophet. I believe Mr. Rood is correct in his contention that this verse in John’s Gospel (John 6:4) is in error even discounting the issue about the Greek text (miniscule) which does not contain this verse (“1634″) and whether unleavened bread was served. To little old me with a pea brain, this verse stands out like a stray sunflower sticking up in a Kansas cornfield. It is inserted right smack dab in the story of the feeding of the 5,000, a story recounted in all three of the other gospels. Not one of these other gospels make mention of such a Passover taking place at this time. More importantly, how could Jesus miss such a sacred feast? Seems to me that this verse is making Jesus out to be guilty of sacrilege in that he is not only failing in his own personal, sacred obligation (to attend the Passover), he is also leading some 5,000 people astray for Mark, Matthew, Luke (and of course John) do not tell of them attending such a feast. Can you honestly say that, after reading Mark Matthew and Luke, you sense there that a Passover is even happening? Not me, my friend. How could it have happened then, for those three gospels provide competent and substantial evidence of a ministry of Jesus which spanned less than one full year and make not a mention of it? The only Passover feast referenced in the first three gospels was the one in which Jesus was crucified. You should be concerned more with saving Jesus’ reputation instead of the reputation of some anonymous scribe who was, based on a common-sense reading of John, chapter 4, “too quick with the quill”. By a three-to-one vote the Synoptic Gospels trump John and restore Jesus’ reputation to its pristine form. I simply want to make that the point that Jesus’ travels north to Capernaum could have been considered a distant journey. In Numbers 9, God creates an exception of celebrating/attending the Passover for people that are unclean or on a distant journey. God then instructs them to celebrate the Passover on the 14th day of the SECOND month. Jesus could have skipped that first Passover mentioned in 6:4 and made it to the second Passover a month later and still have fulfilled God’s express commandments. In my comment sent on 5 November, I confess that I made an error in citing John, chapter 4, at the end of my email. I meant to cite John, chapter 6 (referring to verse four of that chapter) as being the one that seemed to be amiss. I suppose that, just as the anonymous writer of this fourth gospel was “too quick with the quill” in erroneously inserting (interpolating) that obviously out-of-place (incongruous) verse, I am one who was took “quick with the key pad” in providing an erroneous citation when writing about it. Seems both of us were just plain old errant mortals. I have also discovered from more intense study of this verse and issue that if we remove this guilty culprit (John 6:4) we will find that after the first Passover written about in chapter 2 of John’s Gospel, we find that Pentecost comes next (chapter 5) followed by Tabernacles (chapter 7) and then the second and final Passover (chapter 12) in 31 A.D. which I contend is the year of Jesus’ crucifixion. This is so because it was a late Passover as referenced by the fig tree with leaves incident written about in the Synoptic Gospels.. With John 6:4 remaining in this Gospel we have the first Passover followed by what Schofield Scholars believed was the feast of Pentecost then followed by another Passover (John 6:4) then followed by the feast of Tabernacles and then the last Passover. This sequence is certainly is out of place.Thus, a corrected Gospel of John reveals that there were two Passovers written about, plus one feast of Pentecost and one feast of Tabernacles, all of which Jesus is reported to have attended in proper sequence; in doing so Jesus fulfilled his sacred obligation on each and every occasion and RIGHT UP TO THE END. His death exemplified the verse which tells us that there is no greater love than this: that a man lay down his life for a friend. Jesus laid down his life for the “many” just as he said he would. He died to spare the many from the pre-messianic affliction as Schweitzer so brilliantly argued in his writings was the case. As I think I made clear in the article, John 6:4 is not a hill I would die upon and I do not think its exclusion would cause me to lose any sleep. My concern, however, is less whether John 6:4 is authentic as much as whether Mr. Rood is being knowingly dishonest in his presentation of the evidence. This is clearly the case in his accusation about the Nestle/Aland text (there is nothing to indicate the manuscript he used had any importance whatseover); in the case of his accusations about Eusebius, it may be a case of pure ignorance, but he should refrain from speaking on topics of which he knows nothing. It is quite apparent that both in textual criticism and patristics his knowledge could fit upon the head of a very small pin. I have been a student of scripture for over 30 years. I heard of this incongruity about a year ago. One thing that does bare scrutiny is the fact that there was leavened bread near the supposed time of Passover, and the seeming out of step order of feasts. There is no mention of Jesus attending the Passover. Instead he travels around Capernaum and Galilee, he being found by those seeking truth and also not attending Passover. The inclusion of the verse makes the study of this portion of Johns gospel clunky. It does invite speculation, Mr. Rood not withstanding. I certainly think it worth considering and I will repeat that John 6:4 is not a hill I would die upon. My main point in the blogpost was not whether the verse did or did not belong but what was clearly misinformation and conspiracy theories being promoted by Mr. Rood.